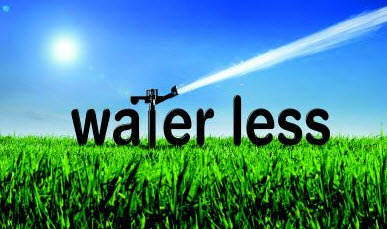 While many Atlanta homes have sprinkler systems up to keep their yards looking their best, it’s important that the amount of water released by the lawn irrigation be regulated. Water is, after all, a limited resource. During the summer, as demand for water increases, outdoor watering can make up more than 50% of a home’s total water usage. According to studies, homeowners are actually watering their plants and grounds too often when they own an automated irrigation system. Instead of doing automated watering, Georgia sprinkler owners should instead water only when plants need water. This can be determined simply by inspecting your landscape on a regular basis. Over-watering can also produce sickly plants. In fact, most landscape type of plants do not need irrigation on a daily basis. According to chicagolawnmaintenance.com, by giving your plants too much water, you can cause problems such as root systems that are too shallow. This causes plant stress during hot dry times, resulting in more likely cases of diseases or pest infestation. How Do I Control My Irrigation System? While every system is different, it’s important to know how to make adjustments, reset or program your controller or time clock. This device can be set to schedule specific water times based on needs. Seasonally, the owner should set the controller to match the landscaping needs, especially since colder weather can negate the need for as much watering. 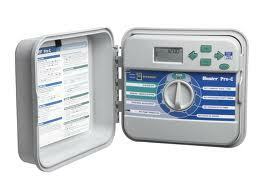 Additionally, when the area is experiencing frequent rainy days or heavy falls, the controller should be reset, if you do not have a rain sensor installed on your Atlanta irrigation system. Purchasing a smart controller is a great idea, if you do not have one currently. These can be set to use weather information and specific local conditions to decide the amount of water to release and when to water. These units are often called “ET” or evapotranspiration controllers. ET is referring to the quantity of water that the is lost from the ground or dirt because of evaporation and the plant’s loss of water from transpiration. The ET utilize on-site weather conditions, the historical statistics from that day to predict how much water to dispense. The use of these smart controllers has been shown to save consumers almost 25% more water than traditional lawn sprinklers in Atlanta. How Much Water Does Yard Really Need? Your goal for watering your yard should be to let Mother Nature foot the bill. Rain should be the main source of water for your yard, if possible. In a state like Georgia, where droughts are common every year, this could be a challenge. Know what your local ordinances allow, but don’t feel compelled to water on your days just because it’s allowed. Also, keep in mind that a plant’s needs change along with the seasons. If you are using a controller, it’s a breeze to adjust the watering schedule and save money. To make sure you are scheduling the right amount of irrigation for your Georgia sprinkler systems, purchase a rain gauge and put it in the middle of your yard to measure rainfall totals. While this information is available online, it’s usually for an area, not your specific yard. This tool will help you schedule how much irrigation you actually need. Another piece of equipment you should most certainly have on your irrigation system is a rain sensor. This is an “extra” item that don’t always come with your basic system, but they’re not very expensive and will ultimately pay for themselves with the amount of money you save on watering when you don’t need to be. Like the name says, it senses rainfall and keeps the irrigation from turning on during a storm or shower. Local home improvement stores or hardware stores usually carry them and they’re easy to install, by either you or your irrigation contractor. 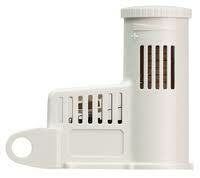 Keep in mind that the sensor should not be put in a spot that is covered, surrounded by trees or not collects water. While you’re at it, you may want to install a soil moisture sensor, too. These monitor the water inside your soil and help you determine when it’s necessary to irrigate. What Are Some More Steps I Can Take To Save Water? One of the most important things you can do to save water and prevent pollution is stop runoff in your areas. Soil texture, compaction, slope and the cover on top of the ground all affect runoff and heavy clay soils or tightly compacted dirt can produce runoff more quickly. If you cover your ground with some sort of ground cover or mulch, you will help prevent runoff as fast as having bare ground. When you are watering your landscape, plan to do it on an infrequent basis and deeply when you do. This will help develop a quality root system that can stand up to hot Georgia summers. When you have plants that are watered daily, they typically develop a shallow rooting system that will wilt almost immediately on hot and dry days. An example of this is flowers in a hanging basket or annuals you’ve planted in your flower beds. Perennials, on the other hand have a more complex and deeper rooting system that needs less watering than annuals. Trees and bushes rarely need nearly as much water flowers, unless they are newly planted. Fully established plants can usually flourish even in long periods of drought. Don’t be one of those wasteful homeowners or businesses who have their Atlanta sprinklers going in the middle of a rainstorm. Instead, install the needed equipment to dictate when the sprinklers NEED to cut on and visually inspect the grounds to make informed decisions.